I've not been baking much off late and every time I go through such a phase,I start panicking thinking,what if I forget to bake completely! ?What a horrid thought,and then I start looking for the perfect recipe to get back and bake.Does it show I'm completely lacking words to start the post?It happens,when you stay away from the blog for a while. Life's been busy and time is flying in the fastest pace ever.Baking and mostly anything blog related has taken a back seat for a while.Usually,I schedule posts when I have drafts ready,but this time that too didn't happen.Anyway,let's head straight to the cake recipe since it is a very simple recipe and doesn't require such a boring introduction:). I've baked this a couple of times before but it never got featured in the blog.The recipe is from Nita Mehta's Cakes and Cookies,one of the first baking books I've owned.It is a basic tea cake recipe[original recipe uses Cardamom]and can be tweaked according to flavors of your choice. (I am thinking Vanilla bean,Coffee,Orange,Nutmeg next). Preheat oven to 180C.Grease/line a 8/8 square pan or a 9' round pan. Sift together flour,baking powder and cinnamon. Beat egg whites in a bowl till it forms soft peaks,keep aside. In a mixing bowl,beat together sugar and oil for 2-3 minutes.Mix in egg yolks and beat till sugar dissolves. Mix in half of the flour and curds,beat. Add in the other half and beat well till you get a smooth batter. Fold in the whites in a slow upward and downward motion till no visible specks of egg whites remain. Pour the batter into the prepared pan and sprinkle sugar on top and bake for 35-40 minutes or till the cake is risen,golden brown and a toothpick inserted in the center comes out clean. Cool in the pan for 5 minutes and then invert and cut into squares. How we liked it - As the name says,the cake tastes best when served with tea.Mildly spiced and not very sweet,the cake makes for a great snack too. Loss of words, don't even tell me about it...its sometimes just too hard to find any! 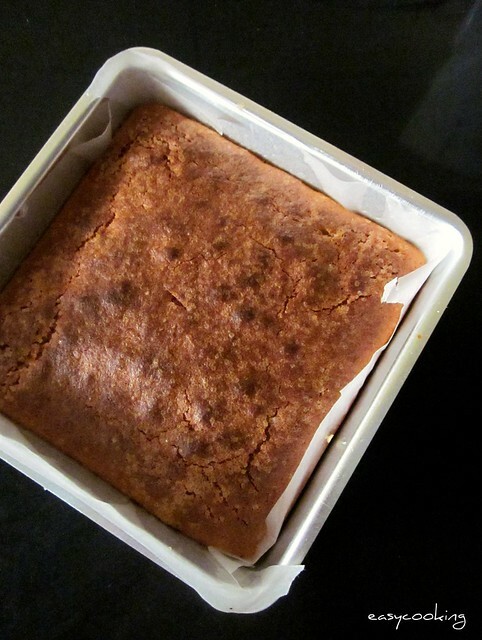 The cake looks awesome, moist, light and spongy... am going to try this for SURE! How would a master ever forget her skill... perfect cake Divya..
Love tea cakes. Perfect with tea. Looks perfect Divya. lovely yummy and tempting spongy cake. Bakes with cinnamon are always my favourite, cake looks super spongy and soft..
Lovely and moist looking tea cake. 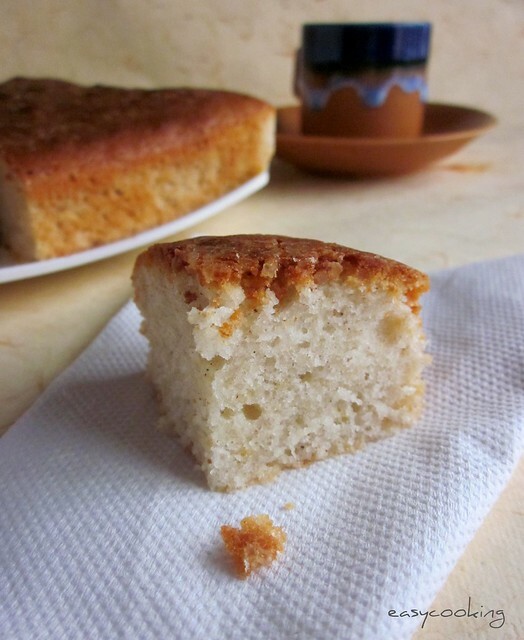 A simple cake recipe. Amazing snaps. Love tea cakes. would love to try it out but scared of separating eggs as breaking them into 2 and not into pieces itself is a big achievement for me. thats such a yummy cake recipe..already bookmarked and plannin to bake this weekend will let u how did it go...thanks so much for sharing.. I can understand ur trauma...being just hooked to baking I have started listing all the cake recipes to cook. Looks and sounds good,soft and porous! Cake looks perfect! And i really like your spiceflavour suggestions... such a flexible tea-cake recipe! Can we reduce the Oil Content? 1 CUP of Oil seems a bit tooo much for me. any alternative to oil or else? Nice recipe.. Could you please tell the capacity of the measuring cups you are using?